Under signature Sydney blue skies Liam Adams (NSW) won the third Real Insurance Sydney Harbour 10k in 29:06 ahead of fellow Commonwealth Games team member Martin Dent (ACT) in second place in 29:15. Third place was taken out by Sydney 2000 Olympic Steeplechase champion, Reuben Kosgei from Kenya in 29:16. Lauren Hamilton (NSW) led the women’s field home finishing in 34:12, followed by Milly Clark in 34:35 and third place went to Kenyan Pamela Chechumba also in 34:35. 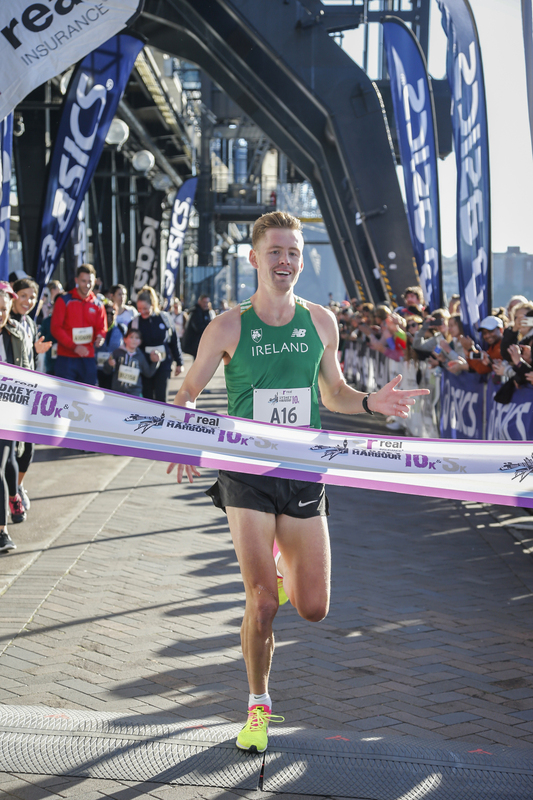 Hayden O’Neill won the men’s field in 16:51 and Melinda Witchard in the women’s field in 18:20 in the inaugural Real Insurance Sydney Harbour 5k. More than 5000 runners registered for the Real Insurance Sydney Harbour 10k and 5k. The 10k loop course started at George St, The Rocks, took runners along Hickson Rd, through Cockle Bay, Darling Harbour, Pyrmont and back into the spectacular finish line located between the MCA and Sydney Harbour, The Rocks / Circular Quay. The 5K course also took in some of Sydney’s most beautiful sights. Starting at The Rocks and runners rounded the edge of Sydney Harbour, under the famous Sydney Harbour Bridge before an out and back section along Hickson Road. Runners returned beneath the Harbour Bridge following the foreshore to the finish line. Men’s winner Liam Adams who will be representing Australia in the marathon at the 2014 Commonwealth Games said he had a great race. 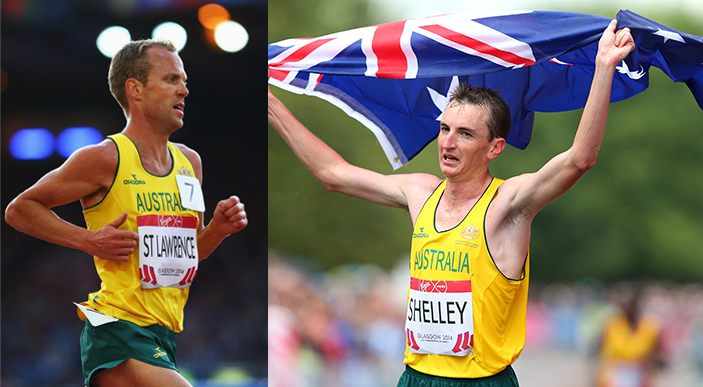 “The race was the perfect hit out before the upcoming Commonwealth Games in Glasgow,” said Mr Adams. “I didn’t know how I would go up against a strong elite crowd who are in good shape but I ended up surprising myself with a bit of extra speed in my legs – things are looking good for the marathon in two weeks. Lauren Hamilton was thrilled with her race. “I am coming back from a stress fracture so I had no expectations but just wanted to go out and give it my best shot. It was a beautiful run and I am really happy with the result,” said Hamilton. Real Insurance Sydney Harbour 10k and 5k Event Director Wayne Larden said that he couldn’t have hoped for more from the third year of the event. “It is great to see a strong elite field up the front of the race. It is a fantastic show of support for this event and course given we had the cream of the Commonwealth Games distance squad competing here just two weeks out from the Games for their final hit out,” said Mr Larden. “We are thrilled that our 10k event continues to grow and we expect that numbers in this event will continue to increase with our beautiful, flat and fast course. 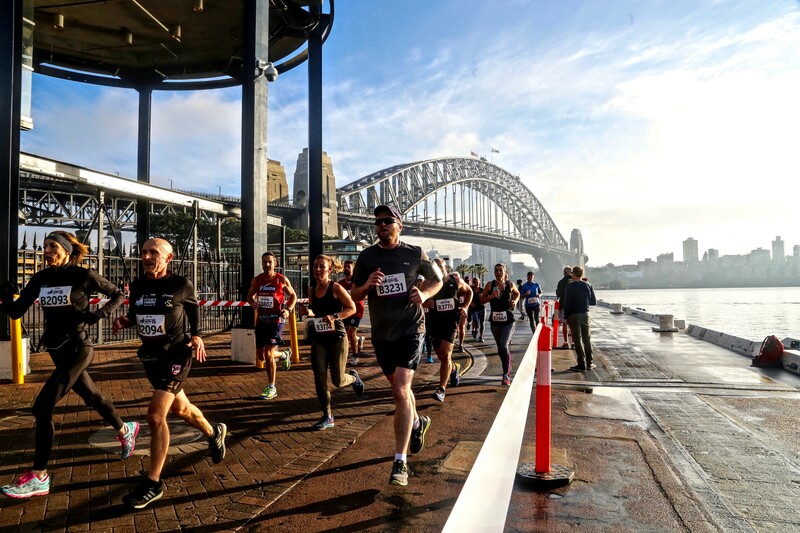 “We have added the Real Insurance Sydney Harbour 5k to the event line up to give everyone the opportunity to soak up the Sydney sights whilst having a go at a fun run. Runners can check their results at www.sydneyharbour10k.com.